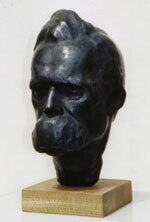 The sculpture "Image of Friedrich Nietzsche"
Olaf Teichmann finished the original gypsum mould of the portrait sculpture in 2003. Before I had intensely studied the life and work of Friedrich Nietzsche. I looked at old photos from his lifetime, visited Röcken, the place he was born, the Nietzsche house in Naumburg and studied some of his texts. 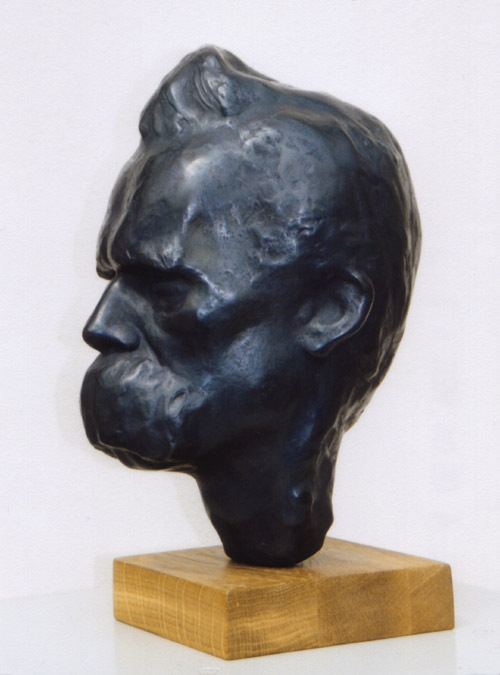 This way I created my own personal image of F. Nietzsche. From 2002 until 2003 I turned this image into the sculpture entitled "Image of Friedrich Nietzsche" presented here. 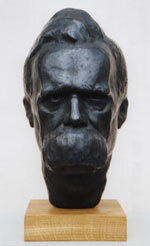 The bronze cast is realized in cooperation with a foundry in Saxon. 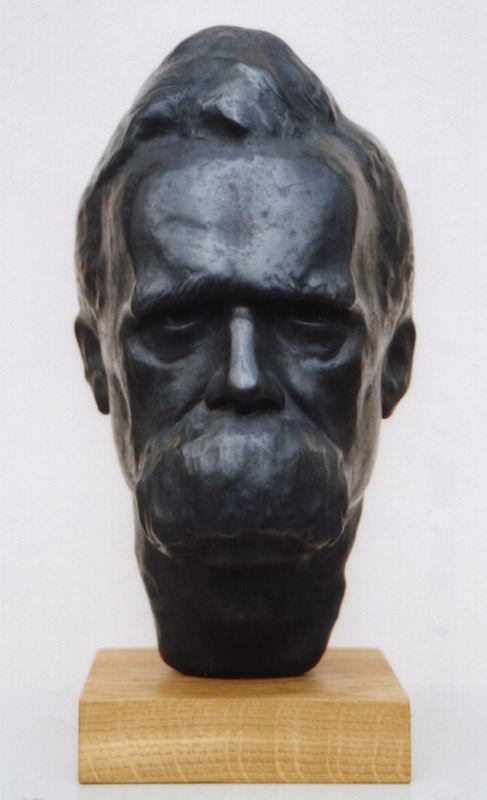 The surface of the bronze is patinated in black to dark brown. 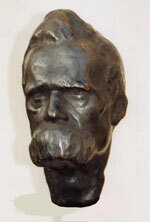 The finished bronze sculpture is about 29 cm in height and is placed on a hardwood base. Only a limited number of 12 pieces and one sample cast will be realized. For each cast piece I will write out a certificate bound to this specific piece. The "Image of Friedrich Nietzsche" will be sold for Euro 2,400 plus shipping costs. You can arrange a visit to my studio to see the original. Die Plastik "Bildnis Friedrich Nietzsche"